This topic contains 0 replies, has 1 voice, and was last updated by Bradley F 1 year, 10 months ago. 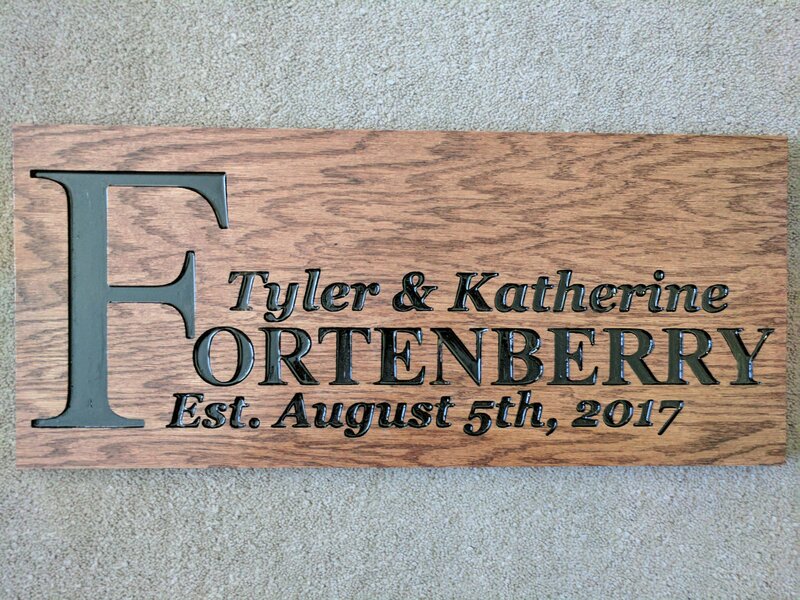 I cut out another sign last week, this time for my brother and his wife-to-be. This time around I had a few issues with my Z axis (coupler cracked on me), so it kept cutting further and further down, the difference between a broken coupler and the new one is night and day. 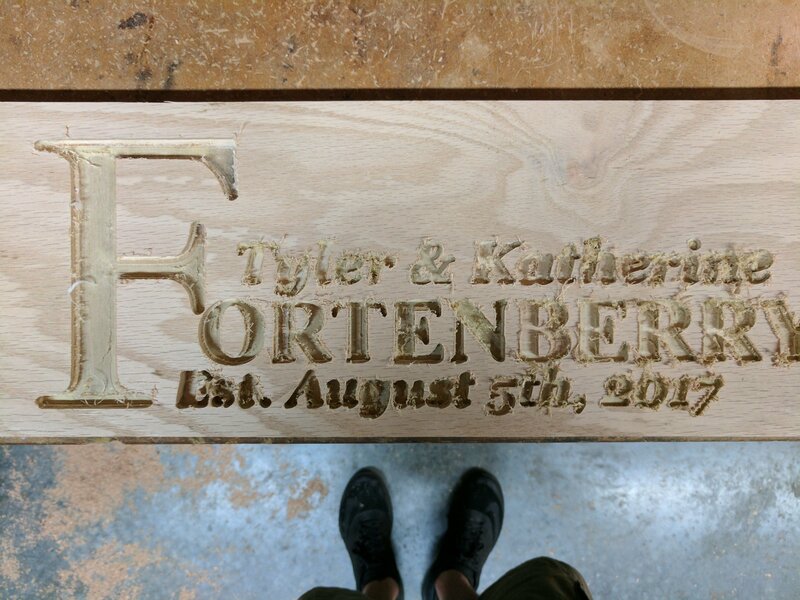 This coming weekends project (other than building more cabinets) is some vinyl stencils for wedding gifts for my own wedding.